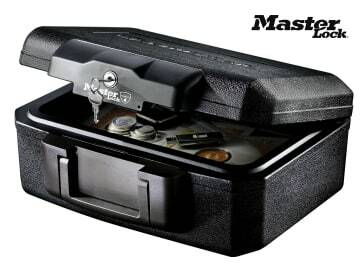 The Master Lock Small Key Locking Fire Chest is versatile and compact, it protects your family's most important paper documents, digital media, and valuables from fire damage. UL Classified for Fire Endurance (1/2-hour at 843°C), to ensure protection of documents, records and valuables in the event of a fire. UL Classified Explosion Hazard Test: Subjected to a flash fire in a 1093°C furnace for 20 minutes, the unit will not explode or rupture. ETL Verified for 1/2-hour fire protection of digital media up to 843°C in the event of a fire. 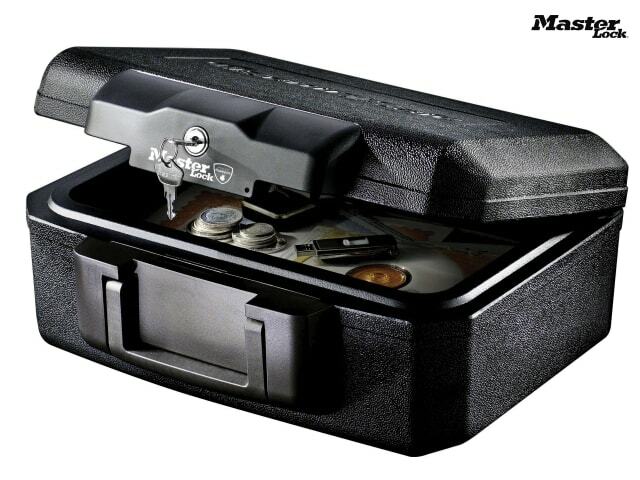 Dimensions (HxWxD): External: 15.6 x 36.2 x 33cm, Internal: 8.9 x 30.5 x 18.8cm.